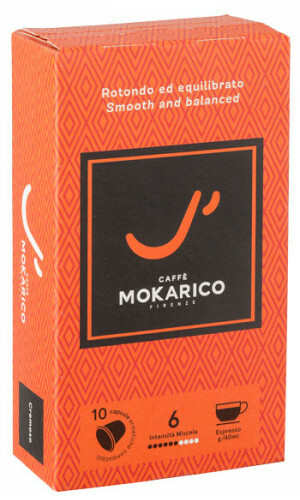 Mokarico (Nespresso®) capsules » Great Deals here! Sofisticated roasting test through the electronic monitoring of the temperatures and the air cooling guarantee an excellent quality product, that is packed in special packaging having special valves avoiding the entrance of any external atmospheric agent. 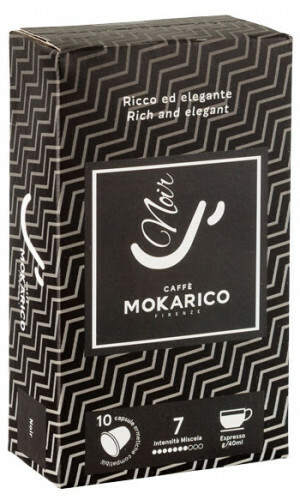 Mokarico blends are composed by natural Brazilians, coming from the regions of Sul de Minas and Cerrado, washed Indians that give roundness, body and chocolatey feeling, Ethiopians with the typical floral and fruity aroma, citrusy and not spiced Honduras and washed Kenyans for the winey retro-olfactory feelings. Sound interesting? 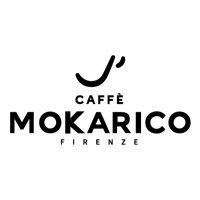 Don't wait because choosing Mokarico means to make the choice of the real Italian Espresso. High class Espresso Italiano with excellent cream formation. Coffee with cocoa notes. Strong, but never bitter!